The boxes around are final possible positions, i.e. we can possibly still finish 2nd. So pretty much everyone will finish in their current places, but could finish in a different place dependent on how many points they pick up? Writings on the cnuting wall for the Semi, mon. What might be good for us is if we finish 5th and Vile 6th. However I'd love us to get that 3rd spot, with them 5th if it happens of course. 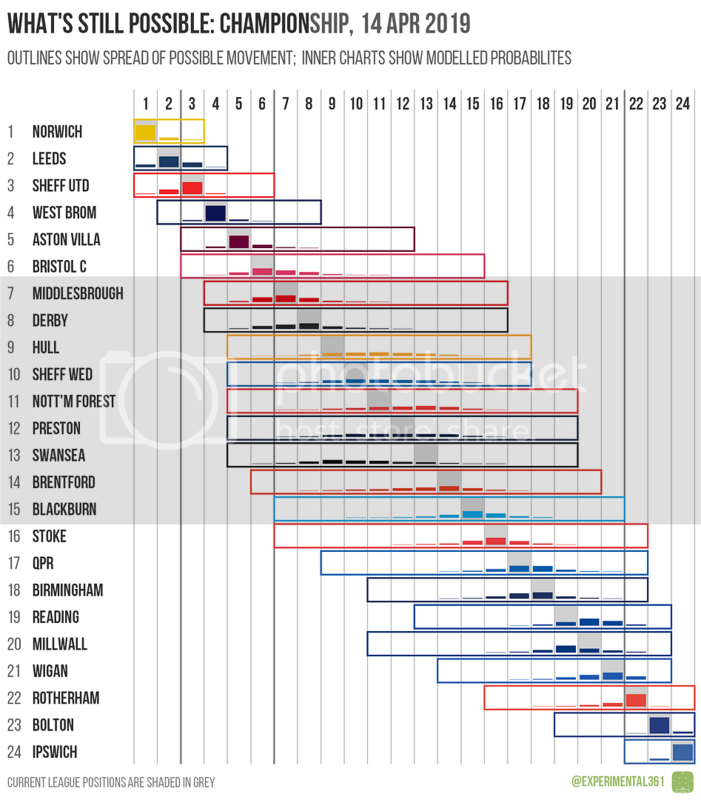 Thers's an outside chance that Villa may finish 6th. But given their next 2 games are against Bolton and Millwall I would expect them to be on 75 points with 2 games to go and it would need a really good run for any of the teams behind them to overtake them. Best thing for us is if they win all their remaining league fixtures. By then they will statistically be overdue a couple of negative results. Current time: 04-25-2019, 10:33 PM Powered By MyBB, © 2002-2019 MyBB Group.